Aretha Franklin, who died on August 16 at the age of 76, was a legend in the music world, known as the Queen of Soul. She was also well known in the civil rights movement, raising awareness for the equal rights of African-Americans and women. But like many celebrities before her, Aretha Franklin died without a will, leaving a potential estate battle behind over a sizeable estate which will include future earnings. According to filings made to the court, Franklin died intestate — meaning that she had no will — and her sons couldn’t find any will or other testamentary document that would govern how her estate would be dispersed. As a consequence, details of the Queen of Soul’s estate will become part of the public record, as the probate court will have to hold proceedings to address the disposition of her assets at the time of her death. Various estimates put the value of Franklin’s estate at roughly $80 million, and although details aren’t yet known, future filings will likely reveal a mix that includes a residence, financial investments, other real estate, and possibly royalties and various business interests that she might have invested in during her lifetime. In addition, Franklin’s personal effects and memorabilia that she might have collected over the course of her career could also have both sentimental and monetary value. A lawyer for Franklin told reporters that he had urged the singer to do estate planning work that could have simplified the process of distributing her assets after her death. Yet like many celebrities before her, Franklin apparently never did so. It is likely that the state laws of intestacy will apply to Franklin’s estate. Under those rules assets often go to a spouse if the deceased person was married at the time of death. For those who are unmarried, children are typically the next in line to receive assets. However, there’s always the possibility that a previously unknown person will step up and stake a claim to Franklin’s estate, especially given the size of the estate. Franklin’s four sons may yet face a looming estate battle. Aretha Franklin is not the only celebrity to die without a will. 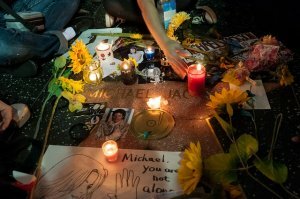 World renowned pop icon Michael Jackson’s death in 2009 was accompanied by his family heading to court in the absence of a will. His mother Katherine Jackson filed a petition to seek charge of her son’s estate. A will – signed by Jackson seven years before his death – was eventually discovered, following which Katherine withdrew her petition. The old will named Katherine as the beneficiary of a trust set up by Michael and additionally appointed her a permanent guardian to his three children. Michael’s attorney John Branca and music executive John McClain were named as the administrators of his estate. Legendary singer Prince died at age 57 in April 2016. The court filings assess his estate to be worth at least $200 million, thanks to his musical legacy and unreleased recordings. Absence of a will has produced many claimants, including individuals purporting to be his earlier unknown wife, sibling, child and distant relative. A Minnesota probate judge declared Prince’s six siblings as the heirs to his holdings in 2017. However, following appeals filed by some would-be heirs, the distribution of assets has been stalled. Most recently, a wrongful death claim against his doctor has been filed, which may bump the value of the estate up by millions of dollars if successful. Kurt Cobain died in 1994 and left behind a fortune recently estimated to be worth more than $450 million. Rosemary Carroll, his entertainment lawyer, has stated that Kurt Cobain’s will was incomplete and Kurt had wished his wife Courtney Love taken out of it. This argument led to a number of legal battles between Love and Cobain’s Nirvana band partners, Dave Grohl and Krist Novoselic. In 2010, Courtney Love relinquished the rights to Cobain’s name and likeness for a loan, and the couple’s daughter, Frances Bean, who then turned 18, gained charge of the trust fund, which was around a third of the estate. Popular singer-musician Jimi Hendrix lost his life in 1970, and the feud over control of his estate went on for more than 30 years among his siblings. Jimi’s father AI Hendrix died in 2002 and left Jimi’s sister Janie in charge of the musician’s $80-million estate. The Washington State Supreme Court retained Janie’s right over the estate, but the battle continues among the warring siblings over use of singer’s image. A settlement was finally worked out before a scheduled July 2015 jury trial. What Estate Planning Lessons Can You Learn from these Celebrities? Think about what-if scenarios – what if one of your beneficiaries goes through a divorce or goes bankrupt? Succession law is complex, and you need to seek the advice of someone who is an expert. For any issue regarding wills, estates, or estate disputes, contact us today for your FREE, 10-minute phone consultation.